Saturn Retrograde 2017 starts on April 6 at 27° Sagittarius and stations direct on August 25 at 21° Sagittarius. Saturn retrograde 2017 takes you on a journey from deep despair to euphoric highs. This karmic rollercoaster ride starts in a very bad place with Venus square Saturn. I consider this depressing aspect among the most challenging of all planetary aspects. To make matters worse, this sadness and loss is make more painful by having both planets in retrograde motion and both with unfortunate fixed stars. However, even before Saturn stations direct, two of the very best aspects provide light at the end of the tunnel in the Saturn retrograde chart. Satun direct heals the pain and sets up an optimistic future. Karmic balance is found as debts are repaid. Everyone can move on toward emotional happiness and successful relationships. Before I go into more detail about Saturn retrograde 2017, I will talk about Saturn retrograde in the natal chart and then the general meaning of Saturn retrograde in transit. Saturn retrograde in your natal chart means there was a problem with self-discipline or avoiding responsibility in a former life. Due to illness, immaturity or disrespect, you may have neglected looking after your loved ones. Perhaps you failed to earn a living to support your parents, or ran out on your partner and children. There will be some lessons or extra effort required this life in order to pay back this karmic debt. You must learn the lessons so you don’t have to go through this difficult cycle again. 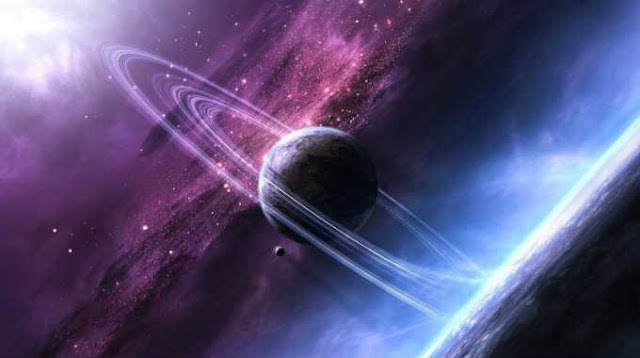 Saturn retrograde in your chart could show as sadness, depression, loneliness, tiredness or lack of motivation. Disrespect of parents and authority figures may be holding you back. Whatever is stunting your productiveness is what Saturn retrograde focuses on. This could well have been an ongoing problem hindering success over many incarnations. Events or relationships will keep reinforcing the problem area this life, especially during Saturn retrograde phases, until you master it. Saturn retrograde in transit is a regular cycle occurring just over every twelve months, lasting about 4½ months, and spanning 6 or 7 degrees of the zodiac. Transiting Saturn retrograde is a time of limitation, restriction, anxiety and fear. During the previous months since Saturn entered the retrograde zone, you will have been dealing with particular issues involving your duties and responsibilities as they relate to your dependents and career. Saturn entered the retrograde zone on 30 December 2016 at 21°10′ Sagittarius. This first shadow phase lasts until Saturn retrograde on April 6. In these months you start to learn what areas of your life are holding you back and need some hard work to fix (see chart). Saturn stations retrograde on 6 April 2017 at 27°47′ Sagittarius. From now until Saturn direct on August 25 is the phase where you learn your lessons. These are going to be very hard lessons because Venus square Saturn is one of the most challenging of all aspects in astrology. Saturn obviously retrograde makes this hard aspect even harder. Venus also retrograde points to seriously heavy karma being sorted out during Saturn retrograde 2017. Venus square Saturn means the lessons of Saturn retrograde 2017 relate to love and money. This cold aspect adds stress to intimate relationships due to negative feelings, distance or other relationship problems. To maintain harmony in relationships try to spend some time alone, but don’t ignore the affections and love of others either. Putting in the extra effort will reduce the risk of relationship dramas. It is common under this influence to feel lonely and depressed. Money can also be tight so avoid a tendency toward wasting money and other resources. Hard work is needed to maintain your present relationship, career or other valued part of life. This is no time to be ignoring your responsibilities, especially for loved ones. Venus retrograde means you can still find love but some hardship or delay is to be expected. Shared burdens would be the price to pay for such a fated love. Self love, patience and good timing will increase your chance of a loving and lasting relationship. Choose your options carefully. Hasty decisions based more on lust than love will only end in sorrow, once Venus turns direct on April 15. As mentioned already, Venus retrograde square Saturn retrograde is as tough as things get in astrology. Incredibly, each retrograde planet aligns with a notorious fixed star. Very serious past life events are going to be revisited by many people during Saturn retrograde 2017. Some will be burdened by guilt, while victims will feel the pain of very old wounds. Victims will far outweigh perpitrators due to previous extreme weather events or cataclysms that separated or killed partners. Then there are the countless victims of war, crusades, inquisitions and insane dictators. Venus with fixed star Scheat at 29°36′ Pisces gives extreme misfortune, murder, suicide, and drowning. The “evil environment” mentioned by Robson  relates now to drugs, crime or prostitution. Suffering through own acts, and danger of imprisonment or restraint become even more likely given the retrogrades and square aspect. Remember, however, that such negative conditions may describe previous or past life relationships. On the other hand, current suffering and misfortune from the fixed stars, the square aspect or retrograde motion, could be the karmic repercussions of those previous conditions. Saturn retrograde 2017 may expose some of the worst sides of human nature. Having your heart broken is one thing but being kicked when you are down is a whole other story. However, there is light at the end of the tunnel. At the other end of the scale you may also experience the very best of human nature. The aspects within the Saturn retrograde chart go from one extreme to the other. Two of the very best planetary aspects can turn your life around very quickly. Sun trine Moon is the best aspect of all in my opinion. Although not directly aspecting Saturn retrograde, it will go some way to alleviating the depressing effects of Venus square Saturn. Sun trine Moon will smooth things out and make life flow more easily. It brings much-needed emotional balance and relationship harmony. Mars trine Pluto at 0°02′ orb is extremely powerful. While Sun trine Moon evens things out in a passive manner, Mars trine Pluto provides motivation and sustained determination to succeed. You can be assertive and direct in achieving your desires while still maintaining harmony. Saturn stations direct on 25 August 2017 at 21°10′ Sagittarius. This is the final phase where you put into practice what you have learned. Only after feeling very very bad can you feel very very good. In the chart below you will find a total of four harmonious blue aspects to Saturn direct. This indicates the final healing of the wounds from Saturn retrograde. Initial healing of the extreme sadness and misfortune should have begun during Saturn retrograde. Sun trine Moon together with Mars trine Pluto would have started the healing process. Saturn direct trine Mars with North Node is one side of an aspect pattern called the minor grand trine. The focal point or end result in the happy emotions of Moon Jupiter. Mars trine Saturn gives you the strength, ambition and perseverance to take on the hardest of tasks. You will find the most efficient way to get the job done. You patience and self-discipline will keep you plodding along without being distracted or discouraged. Saturn trine North Node makes it even easier to complete your healing journey. Your destiny or karmic path is to complete this difficult task. Your will be assisted by your spirit guides. Encouragement will also come from your elders, especially wise old men. Moon sextile Saturn makes you feel protective of you family and partner. You will show how much you care for them in practical ways, not through public displays of emotion. Your will also feel the support of your family. You can count on their nourishment and comfort through food, shelter and a shoulder to cry on. Jupiter sextile Saturn is a time of cautious expansion. You can rely on sound judgement skills to chose only those opportunities that are right for you. This is also an aspect of social justice. Karmic balance is found as debts are repaid. Everyone can now move one. Moon conjunct Jupiter is the end result of the Saturn direct story. In fact this is the happy ending of the whole Saturn retrograde 2017 cycle. This warm and generous aspect makes you feel happy and content. You will want to share you good mood, making this the ideal time for socializing. This is a time of optimism, generosity and good fortune. One particular significant woman may have a positive effect on your personal or spiritual development. A range of diverse relationships and cultural experiences can enrich you life in personal and material ways. Saturn leaves the retrograde zone on 1 December 2016 at 27°47 Sagittarius. This is the end of Saturn retrograde 2017 (chart).